^ 1.0 1.1 1951年新德里亚运会. 新浪竞技风暴. 北京: 新浪公司. 2014 [2015-11-19]. （原始内容存档于2015-11-22）. ^ Singh, Roopinder. A towering man in all respects. The Tribune (Chandigarh, India: The Tribune Trust). 2013-01-07: 8 [2015-11-21]. （原始内容存档于2016-03-04）. ^ IX Asian Games. sports.gov.pk. Pakistan Sports Board. [2011-05-14]. （原始内容存档于2012-03-24）. ^ Morris, Andrew D. Marrow of the Nation: A History of Sport and Physical Culture in Republican China. University of California Press. 2004: 88, 160–163. ISBN 978-0520240841. （原始内容存档于2015-11-22）. ^ Bell, Daniel. Encyclopedia of International Games. Jefferson, North Carolina. : McFarland and Company, Inc. 2003. ISBN 0-7864-1026-4. ^ 運動會：遠東運動會. 亞洲奧林匹克理事會. 2009 [2011-05-13]. （原始内容存档于2012-06-20）. ^ England, Frederick O. History of the Far Eastern Athletic Association (PDF). LA84 Foundation. [2011-05-13]. （原始内容存档 (PDF)于2014-07-27）. ^ 8.0 8.1 Tiwari, Saket Raman. History of Physical Education. Delhi: APH Publishing. 2008: 259–260. ISBN 81-313-0041-2. ^ Thorpe, Edgar. The Pearson General Knowledge Manual 2010. Delhi: Pearson Education (India). 2010: 202–204. ISBN 81-317-2790-4. ^ OCA History. Olympic Council of Asia. [2011-05-14]. （原始内容存档于2011-05-22）. 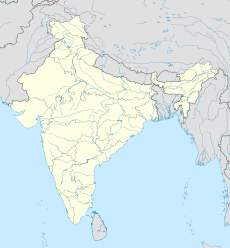 ^ The First Asian Games Championships will be held in March 1951 at New Delhi (pdf). LA84 Foundation. [2011-05-13]. （原始内容存档 (PDF)于2015-05-25）. ^ 12.0 12.1 12.2 12.3 12.4 1st Asian Games 1951 (pdf). Ministry of Youth Affairs and Sports, India. [2011-05-13]. （原始内容存档 (PDF)于2015-11-22）. ^ Rajpramukh of PEPSU's message. The Indian Express (Madras). 1951-03-05: 5 [2011-05-14]. ^ Cashman, Richard I. Patrons, players, and the crowd: the phenomenon of Indian cricket. Sangam Books Ltd. 1980: 20–21. ISBN 0-86131-212-0. ^ Robertson, Louise. Golden memories of London's last Olympics. Richmond and Twickenham Times. 2011-03-06 [2011-06-08]. （原始内容存档于2012-03-02）. ^ Colourful Conclusion of The First Asian Games. Indian Express (New Delhi). 1951-03-13: 6 [2011-06-08]. ^ Khanduri, C.B. Field Marshal K.M. Cariappa: his life and times. Delhi: Lancer Publishers & Distributors. 1995: 117. ISBN 1-897829-75-2. ^ 18.0 18.1 18.2 18.3 Report of the First Asian Games held at New Delhi (pdf). LA84 Foundation. [2011-05-15]. （原始内容存档 (PDF)于2014-02-21）. ^ INDIA: First Asiad. Time. 1951-03. （原始内容存档于2015-11-17）. ^ First Asiad Pictures. The Indian Express. 1951-03-16: 6 [2011-05-15]. ^ President Inaugurates First Asian Games. The India Express (Madras). : 5 [2011-05-14]. ^ Ist Asian Games—Swimming, Diving & Water Polo. Sports Bharti. [2011-05-15]. （原始内容存档于2011-07-16）. ^ Swimming—Past Medals. Doha Asian Games' official website. Wayback Machine. 2006-11-29 [2011-05-15]. （原始内容存档于2007-01-05）. ^ Sachin Nag's victory in swimming. The Times of India (Delhi). 1951-03-09: 6 [2011-05-16]. ^ Asian Games Water Polo Results (PDF). Asia Swimming Federation. [2011-05-15]. （原始内容 (pdf)存档于2011-08-11）. ^ Ist Asian Games—Basketball—Results in detail. Sports Bharti. [2011-05-15]. （原始内容存档于2012-04-23）. ^ 27.0 27.1 1st Asian Games: 1951 New Delhi – Cycling. Sports Bharti. [2011-04-30]. （原始内容存档于2011-07-16）. ^ Iran and Japan in drawn game. The Indian Express (Delhi). 1951-03-09: 6 [2011-05-16]. ^ De Dekker, Guy, Jovanovic, Bojan and Garin, Erik. Asian Games 1951 (India). Rec.Sport.Soccer Statistics Foundation (RSSSF). 31 Mar 2011 [2011-05-16]. （原始内容存档于2011-06-29）. ^ Ist Asian Games—Weightlifting. Sports Bharti. [2011-05-15]. （原始内容存档于2011-07-16）. ^ 1st Asian Games, New Delhi, 1951: Programs. New Delhi: Asian Games Federation. 1951. ^ Mr. De Mello at the Asian Games. The Indian Express (New Delhi). 1951-03-01: 6 [2011-05-15]. ^ First Asian Games — Over 500 athletes tp participate. The Indian Express (Madras). 1951-02-21: 6 [2011-05-15]. ^ Asian Games — New Delhi 1951. Olympic Council of Asia. [2011-05-15]. （原始内容存档于2012-06-19）. ^ Kaur Vijay, Sriman R, Rijvi S.T. Husain. Yojana (Spotlight on youth & sports). Socio-Economic (Delhi: Publications Division, Ministry of Information and Broadcasting). 1988, 32 (12): 18–36. ^ India record their best-ever performance in Asian Games. The Times of India (Guangzhou). 2010-11-26 [2011-05-03]. （原始内容存档于2011-01-20）. 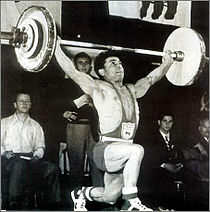 ^ 37.0 37.1 Overall Medal Standings – New Delhi 1951. Olympic Council of Asia. [2011-04-29]. （原始内容存档于2012-06-20）. ^ Singapore Amateur Swimming Association 1939-1989. Singapore Amateur Swimming Association. 1989: 10–11. ^ 2018 Asian Games: Game Results. Singapore National Olympic Council. 2015 [2015-11-21]. （原始内容存档于2015-11-21）. ^ Asian Games Water Polo Results–1st Asian Games 1951 (PDF). Asia Swimming Federation. [2011-04-30]. （原始内容 (pdf)存档于2011-08-11）.